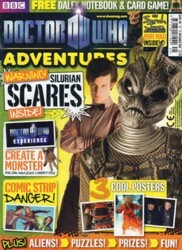 In this issue, we give you all the essential facts about the creatures who lived on Earth before we did - the Silurians. We�ve also got a fantastic new competition which involves an exciting new Doctor Who exhibition. Enter it today!